If you could put any two artists from history together for a collaboration who would they be? Start the lip-smacking now! 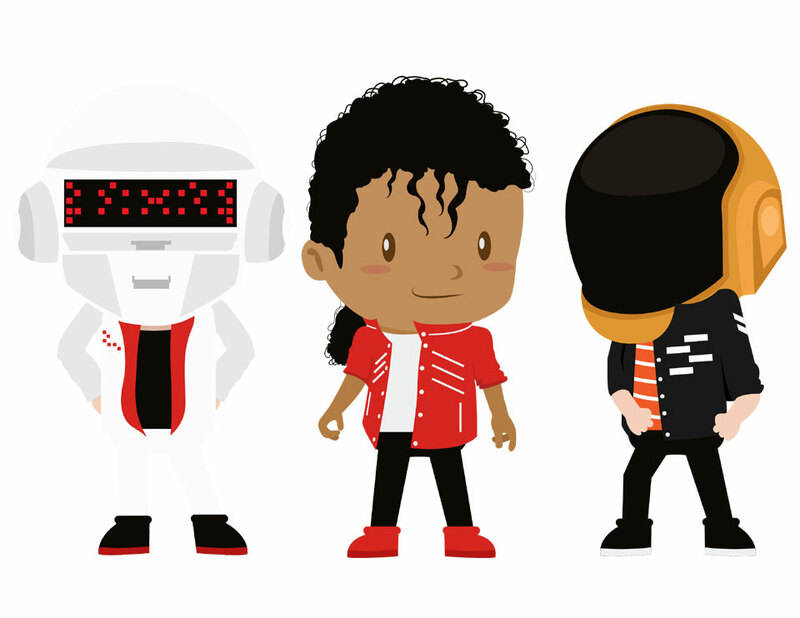 Imagine the king of pop, Michael Jackson, teaming up with the current superstars of dance music Daft Punk. The melding together of DP's sparking power riffs and punchy kik drum with MJ's showmanship and timeless vocals would surely be irresistible to any dancefloor. We got a bit overexcited by this prospect and had a graphic artist render the scene into a cute cartoon!